The University of South Florida's Alliance for Integrated Spatial Technologies (AIST) has been globe- trotting again. 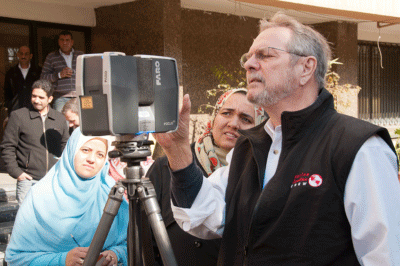 This time, we were in Egypt as invited participants in a LiDAR workshop that was assisting with capacity building measures that included learning about terrestrial laser scanning and 3D software. 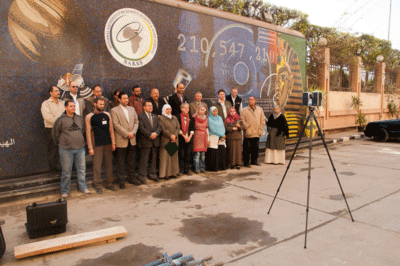 Egypt's National Authority for Remote Sensing and Space Sciences (NARSS), Ministry of State for Scientific Research, Arab Republic of Egypt (http://www.narss.sci.eg/ ) hosted and other participants included Hamilton College, who organized the event, the USGS Earth Resources Observation and Science Program, the OpenTopography Facility with the San Diego Supercomputer Center, and Aerometric LiDAR Solutions. The final day of the workshop included a group quick scan instead of just a photo (above) and a fast view of the FARO scan data in Geomagic 2012 (below). The workshop included a half day instructor led hands-on training with Geomagic Studio 2012. 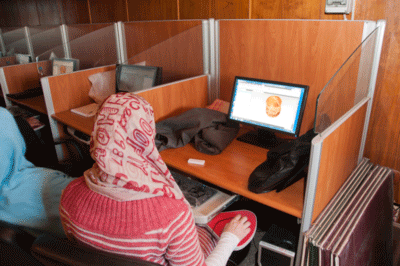 Egyptian scientists learned the workflow of importing laser scan point cloud data for creating polygonal surface models. 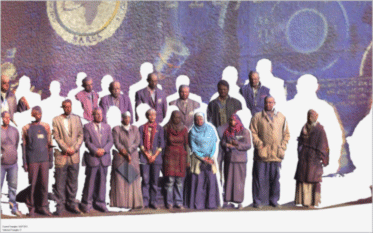 Of particular interest was how to document archaeological features, sites, monuments and artifacts with terrestrial laser scanning (TLS) and how best to visualize and share the 3D models. 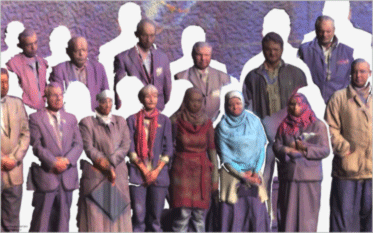 Geomagic 2012 was used as a way of visualizing the data and the 3D PDF format was shown as a method of sharing and viewing TLS information. 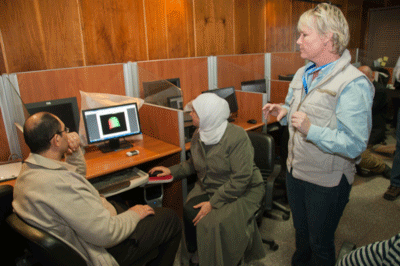 Dr. Collins showing Egyptian officials the 3D PDF function and visualization tools in Geomagic Studio 2012 software (above), and students learned to create 3D models from scan datasets using Geomagic (below). Of course, if you are an archaeologist and you go to Egypt you will not want to spend all of your time in the classroom, and we were fortunate enough to be able to see a wealth of archaeology and culture thanks to our wonderful hosts with NARSS and with new contacts made with the Ministry of Culture and Antiquities and the Egyptian GIS Center. 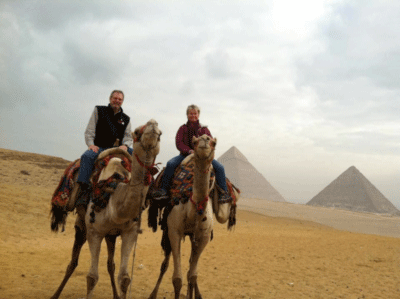 We travelled to Giza and saw several pyramid complexes and museums, visited the National Museum in Cairo, took a cruise on a Nile riverboat, visited cultural sites and the market in Cairo and oh yes rode a camel in the desert! We were able to see many sites and sounds and make not only great contacts for future project development, but also we made a lot of new friends. 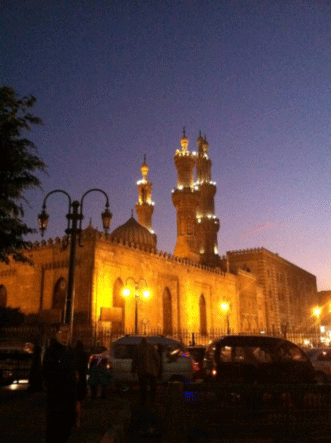 Cairo, Egypt at night near the market.